SteelSeries, the global leader in premium gaming peripherals and supporter of competitive eSports, today announced in collaboration with Team Fnatic, a new line-up of branded gaming gear. We work with the best of the best on what is required of our peripherals. Their branded products show off what is considered the best by eSports champions. SteelSeries, the global leader in premium gaming peripherals and supporter of competitive eSports, today announced in collaboration with Team Fnatic, a new line-up of branded gaming gear. 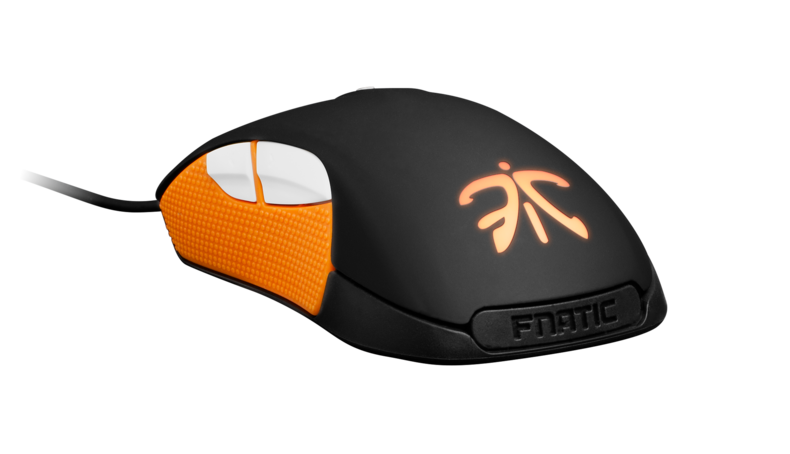 The Fnatic Edition peripherals were built and designed in collaboration with the team, starting with the original SteelSeries version and now to the new co-branded edition. The Fnatic colors of orange and black along with the recognized logo are what will set apart the special edition 9H Headset, Rival Optical Mouse and Apex Keyboard. “Fnatic is the definition of a world-class eSports franchise - the talent, ambition and professionalism as eSports athletes are what make them so incredibly successful. We work with the best of the best on what is required of our peripherals. Their branded products show off what is considered the best by eSports champions,” said Ehtisham Rabbani, SteelSeries CEO. The award-winning Rival Optical Mouse gets an Fnatic makeover featuring an optical sensor with zero acceleration, new long-lasting SteelSeries switches (> 30 million clicks), unique team Fnatic design, and a soft touch finish to enhance comfort. Its ergonomic grip is accentuated by the injection molded rubber side grips and intuitive, ergonomic button placement. The Rival can be customized through a host of features including response time, adjustable buttons, dual lighting zones, SteelSeries ExactTech settings, and a 3D printable nameplate. 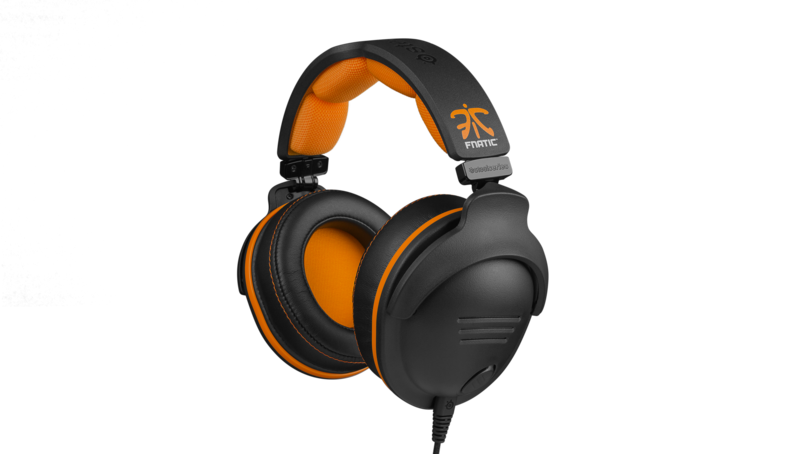 The Fnatic 9H is a fully loaded, Dolby 7.1 virtual surround sound gaming headset with precise, full range of audio. The headset delivers a natural, accurate bass extension to high-frequency detail and excellent impact - thanks to the next-generation of SteelSeries audio drivers. The 9H is comfortable, durable and features double-enclosed earcups, which provides gamers with the clear directional sound needed to dominate their opponents. With the power of the SteelSeries Engine, the 9H offers extensive microphone performance features and an array of audio settings. The Apex Gaming Keyboard lives up to its title of the world’s fastest gaming keyboard thanks to its low-profile design and ergonomic key layout. Its customization capabilities are unmatched with 88 possible macro combinations, 16.8 million colored illumination options, unlimited profile layers and more. 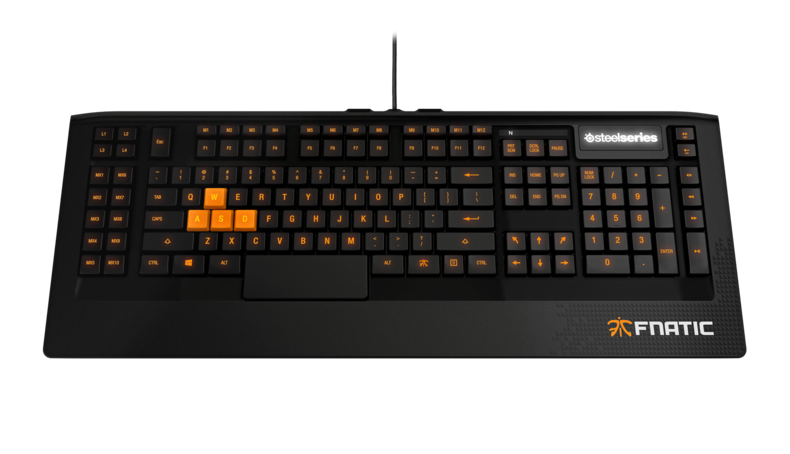 The Fnatic logo artwork is featured on this edition of the keyboard, making it a must-have for any fan of the iconic eSports team. The co-branded peripherals are available now on SteelSeries.com and Team Fnatic’s website. For more information and details about the peripherals as well as Team Fnatic’s activity during the Dreamhack Winter 2014, please visit http://steelseries.com/fnatic and follow us on social media http://facebook.com/steelseries and http://twitter.com/steelseries.